Easily one of my favorite days in Detroit – ever. The Thanksgiving Parade this year was spectacular. Not just because of the floats and bands and balloons, but because of the amazing size of the crowd. 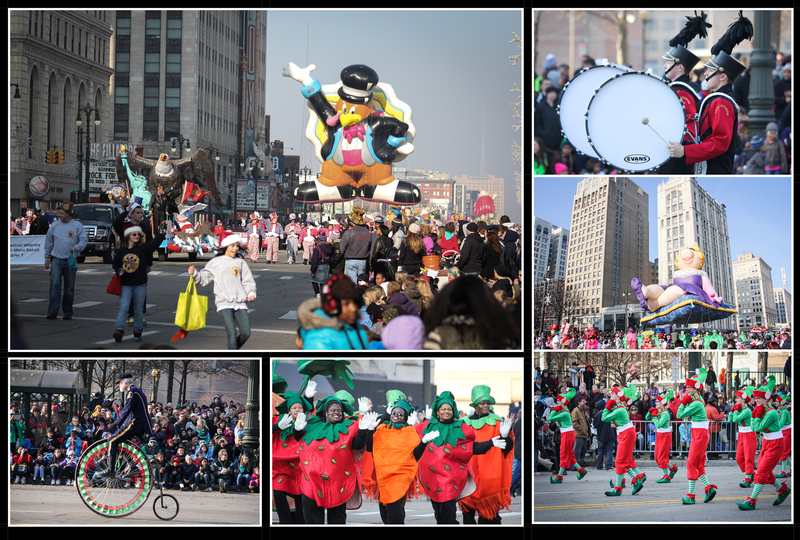 I’m not sure I’ve ever seen so many people along Woodward Avenue Thanksgiving morning. I’ve been to the parade most years I’ve lived in Detroit. When I was a kid, we used to stand near the corner of Woodward and Elizabeth, behind Fyfe Shoes and across the street from the Elwood diner, which was later moved to put it closer to Comerica Park and Ford Field. Now my family meets up with friends a few blocks south, in Grand Circus Park. I got there this year at around 6:45 to hold our spots, and it’s a good thing I went that early. By 7:45, the entire block was full. 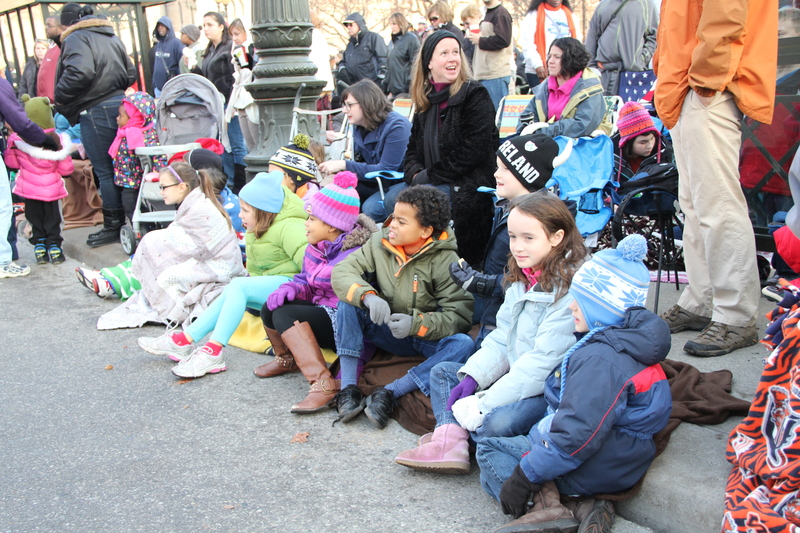 By the time the parade started, people were lined up four and five deep. No doubt, it helped that temps approached 60 degrees and the sky was a wonderful, deep blue rather than the steel gray we’re accustomed to this time of year. But I’d also like to think the crowds owed, at least a little, to the optimism so many people feel about the city right now. Some of the folks I talked to were parading for the first time in years, and said they came down in part to see how things were changing – for the better. Great day. Enjoy the photos!